Writing thesis abstract is a brief written summary of the objectives, methods, results and conclusions of research that should be written by students to complete their academicwritings. However, many abstracts do not include all the necessaried elements to understand what has been done and found. Some thesis abstracts disorganized clearly and accurately to the content of the thesis. Thus, in this study, it describes how coherence of sentences on students’ abstracts of thesis is. The research question can be stated as follows; how is the coherence of students’ thesis abstracts written by English Education Program at Adibuana University of Surabaya. To conduct that study, researchers used qualitative description to describe the data that consists of all words, phrases, and sentences related to the research questions, while the data source is an abstract thesis written by students of English Education Program. The Instruments of research is an eligibility rubric to observe, classify, and analyze data based on research questions. In collecting the data, the researchers collected thesis abstracts by using purposive sampling. Then they are analyzed based on the theory stated by Zemach and Rumisek (2005:82) which describes that coherence is the arrangement of ideas in a clear and logical way. The result shows that the coherence of all students’ thesis abstracts are not able to arrange in a clear and logical way. Those phenomenons happened because they did not pay attention to the abstracts components they made. So, it can be concluded that the students need guidelines to create a thesis abstract in order to get the better quality in its components and coherence among sentences. Additionally tt is implied that the roles of their supervisors are very significant to guide students in creating their abstracts well. Penulisan abstrak skripsi merupakan ringkasan tertulis singkat tentang tujuan, metode, hasil dan kesimpulan penelitian yang harus ditulis oleh mahasiswa untuk menyelesaikan tulisan akademis mereka. Namun, banyak abstrak tidak mencakup semua elemen yang diperlukan untuk memahami apa yang telah dilakukan dan ditemukan. Beberapa abstrak skripsi tidak terorganisir secara jelas dan akurat terhadap isi skripsi. 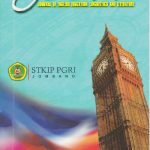 Jadi, dalam kajian ini akan mendiskripsikan bagaimana koherensi antar kalimat yang ditulis oleh Mahasiswa Pendidikan Bahasa Inggris Universitas PGRI Adi Buana Surabaya. Peneliti menggunakan deskriptif kualitatif untuk mendeskripsikan data yang terdiri dari semua kata, frasa, dan kalimat yang berkaitan dengan pertanyaan penelitian, sedangkan sumber datanya adalah abstrak skripsi yang ditulis oleh mahasiswa Program Pendidikan Bahasa Inggris. Instrumen yang dipakai selain peneliti sendiri, penelitian ini menggunakan tabel telaah kelayaan abstrak yang digunakan untuk mengamati, mengklasifikasikan, dan menganalisis data berdasarkan pertanyaan penelitian. Dalam pengumpulan data, peneliti mengumpulkan abstrak yang ditulis oleh mahasiswa Pendidikan Bahasa Inggris dengan menggunakan random sampling. Kemudian dianalisis berdasarkan teori pada bab sebelumnya. Selanjutnya, data dijelaskan dalam hasil penelitian dan pembahasan. Hasil penelitian menunjukkan bahwa koherensi kalimat yang dipakai dalam pembuatan abstrak sudah runtut, namun masih ditemukan pengulangan ide dan ketidak logisan ide antar metode dan hasil penelitian. Dari hasil penelitian diatas dapat disimpulkan bahwa mahasiswa seharusnya memiliki, membaca dan mengaplikasikan aturan-aturan yang ada dalam buku pedoman pembuatan abstrak. Dari hasil penelitian diatas sangat diharapkan adanya peningkatan proses kepembimbingan terutama dalam membuat abstrak karena peranan pembimbing sangat berpengaruh terhadap kualitas penulisan abstrak skripsi mahasiswa. In community service learning, the abstract can be used for a review of social work service. It can be used to get enrichment review only. In the essay or Research Project, the abstract can be used for a review of select topics and consider whether the reader should take steps to review read partly or the whole main texts. The structure-abstracts in research will be required background, objectives, methods, results and discussion, and conclusion. So, writing abstracts has important role based on the specific objectives. However, some of students can write abstract well. Commonly, the content of abstracts did not cover all the elements which review about background, purpose, research questions, research method, results, conclusion, and implication. Based on the background above, the researchers want to describe the coherence of sentences in thesis abstract written by students of English Education Program at the PGRI University of Adi Buana Surabaya. Coherence in a sentence is an arrangements of ideas expressed by the author. So, it is easy to understand. Coherence between sentences will be able to shape the course of writing in logical order of ideas coherently. (Rumizek & Lisa.2003: 87) states that coherence is inseparable from a cohesion. Coherence needs the logical ideas of ​​a writing. Writing an abstract is a summary of the contents of the research that has been done. Assessment of coherence in this study is based on an abstract components that include objectives, methods, results and conclusions of a research report, and the implications that can be drawn based on the conclusion of a research. Thus, coherence in theses’ abstracts written by students will be reflected in the preparation of the sentences in the abstract that has been made. It can be concluded, if a writer does not construct a sentence shortly and does not meet the component coherently in the abstract, the reader would be difficult to understand the contents of the abstract and also will exceed the maximum limitation of words that have been provided. Abstract background is used as the basis why the authors chose a research topic. It should be written briefly but it has enough information to convey the purpose of research and the importance of such a study. The scope and limitations of the study must also be declared. Authors should declare the previous of research, but it is optional because not all studies have them. In this section, the author should write research methodologies such as the steps of data collection, data sources, instruments, data analysis, and so on. If the author uses experimental research it must explain the sample, the instrument used to collect data, and analysis of more detailed data and measurable. So it needs more time to complete. In this section, the authors present the results of research. It should be written objectively. If the author uses experimental research, he / she should explain what statistical analysis that will be used to analyze whether the results are significant or not. After writing the background, methods, and results, the authors should state the conclusions. It explains what the purpose of research findings. What is important in writing a conclusion, the author must submit research contribution to the current knowledge. In other words, the implications of the study should be explained. Abstracts may have different components, depending on the type of material being presented. Some journals handed to the author to write the abstract structure in the writing component. The author must understand that abstracts for scientific thesis / research will tend to vary depending on the type of reports and requirements described in the journal. In conducting the research, descriptive qualitative was chosen as the research method. The purpose of the descriptive method itself is to obtain systematic and accurate facts. According to Flick et.al (2000: 3) qualitative research is a research procedure that drew attention to the process, which means to the pattern, and structural features. Social class is a category of people similar in socioeconomic status when compared to other such categories in a stratified society. In the study of social classes the concrete reality with which we are concerned is the set of actually existing relations at a given moment of time which link together certain human beings.This study analyzed social classes through the main characters on Titanic movie (1997). From analysis data, the writer concluded that kinds of social classes were reflected in Titanic movie through their language use. The researcher found five kinds of social classes are as follow : Upper Class, Upper midle class, Lower middle class, Working class and Under class . Paragraph above shows the conclusions of the data analysis. Kind of social class is reflected through the use of language. Researcher (student) also found five types: upper class, upper middle class, lower middle class, working class, and lower class. From the sequence of ideas that is used by the students, the coherence of the first paragraph to the last paragraph is good at sentence in which the ideas of background, research objectives, as well as the conclusions of the study. They can be understood easily by developing a topic that is of social class in the titanic movie. As English is an interantional language in Indonesia, the people should prepare for the new era. There are four basic skills to learn English; litening, speaking, reading and writing. In order to learn English, the first thing to do is listen. Without listen, people did not know what the speaker want to do or want the listener to do. Learning other language is difficult especially for students who still have the lack score in listening. In thic case, the researcher tries to give media in teaching learing to improve the students listening achievement. One of them is songs as media. Based on the background above, the researcher limits the study in order to give clearly research as the thesis object as follow “is there any influence of using songs on Students’ Listening Achievement at the Tenth Grade Students of MAN Sidoarjo?”. The researcher chooses two classes as sample, they are X IPS 1 as a experiment class and X IPS 2 as a control class. Each class consists of 30 students. The method of this research was quantitative and the data was collected by using pre-test and post-test. The data that was collected will be calculated to find the score and compare the both classes. The data was calculated with t-test formula in order to find the students’ achievement and the success of each class. From this research, it was known that the influence of using songs on students’ listening achievement at the tenth grade of MAN Sidoarjo. The result concludes that there is significant difference between the experiment and control class. The value of t-observed: 4,52 is higher than t-table:2,002. With the 68 degree of freedom (df) at significance level 5%, so we can conclude that t-observed > t-table. It means that (H0) refused and (Ha) accepted and there is the influence of using songs media on students’ listening achievement at the tenth grade of MAN Sidoarjo. Paragraph above shows the results of t-test that showed there were differences between students’ grades listening experiment and control. It can be seen from the results of the t-table was higher than the t-test. It can be concluded that the hypothesis 0 is rejected and Ha accepted. The second data from this study has good coherence. The idea can be arranged coherently and clearly starting from the background, research objectives, research questions, methods, and finding of research. This study was carried out to find empirical evidence of the most common errors in writing recount text using simple past tense made by the eight grade students at SMPN 2 Sedati. The objective of this research is to identify the types of errors find in writing recount text using the simple past tense made by eight grade student at SMPN 2 Sedati. The result of the error analysis process showed that students committed error into four types: omission, addition, misformation, and misordering. From the frequency of each error types, misformation was the error which most frequently produced by the students. It took 51,16% of the total errors. Moreover, 29,06% errors fell into omission and 18,61% errors fell into addition; whereas, for ordering, it only took 1,16%. These errors were conducted because most of the students were still influenced by their mother tongue and their Indonesian way of thinking. Paragraph above describes the results of research. There are four types of common mistakes that are; omission, addition, misformation, and misordering. In the next sentence, the data presentations were described in the form of percentage in fault. Related to the coherence, students are able to write coherently from a research focus, research objectives, research methods, and results. But in terms of clarity and logical order, there are statements which did not support between methods and research findings. In research methods, It was explained that this type of research was qualitative, the results of research in the form of a percentage. It can be concluded that there is less good coherence between the methods and results of research. The study used a descriptive qualitative method, which means the data were analyzed qualitatively since the data for speech acts are usually in the form of words or utterances.This study was done by classifying and analyzing those objects. This research showed that there were speech acts in Ban Ki-Moon’s speeches. The findings showed that there were various types of speech acts in accordance with Searle’s theories in Yule and Cutting’s theory. The conclusion revealed that (1.) There are four kinds of Five Macro Classes of speech acts based on Searle’s theories in Levinson and Yule’s theory. (2.) It can be inferred that among the three kind of speech acts (i.e., locutionary acts, illocutionary acts and perlocutionary acts)and the two of certain structure (i.e., direct and indirect speech). Referring to the result of the analysis, it is found out that Ban Ki-Moon performs illocutionary acts on the speeches. The locutionary acts based on Yule’s theory found in the analysis are expressives, commissives, representatives and directives. Based on the finding and discussion and conclusion, it is recommended that Ban Ki-Moon’s speeches should emphasize more on the aspects or clarity and understandability. Finally, it is hoped that this study will be useful for further speeches research. The data above is the last paragraph written by the students associated with speech acts in a political and economic forum on pidat Ban Ki-Moon. The data above shows the results of research on the kinds of speech acts which consists of four types of speech acts according to Searle’s theories in Levinson and Yule’s theory. Besides this, students also explained that there are three types of speech acts include locutions, illocutionary, and perlocussion. Ban Ki-Moon did illocutionary speech acts in his speech while locution includes expressive, commisives, representatives and directives. The obtained discussion of the results, Ban Ki-Moon’s speech should stress more on aspects or clarity and understanding. In the last statement, it also described the author’s hopes that his research may provide benefits. From the above data the abstract written by students in the four components does not have a good coherence sentence begun from the first paragraph which was not declared on the research question. So the contents of subsequent paragraphs are related to the research methodology. There is the last sentence of the paragraph above which can not be understood logically. It is about the speech acts which are carried out by Ban Ki-Moon in a political and economic forum. The study of speech acts has a lot of research studies. If it is not written directly, then coherence subsequent sentences will be less good because there is no limitation in expressing ideas. In the last paragraph, it also has an impact on the explanation of the research results. This is because the students did not write clearly the number of research questions. It will be related to the results of research. If the student writes two research questions, then it should be followed by two the result of the research. Readers will find logical thinking when reading the abstract thinking. So it can be concluded that the fourth data did not have a good coherence. The purpose of this study was to analyze the speech acts in Joko Widodo’s speeches in Economic Forums by using Austin and Searle’s theories in Levinson and Yule’s theory about speech acts and Five Macro Classes of speech acts. The writer selects in Joko Widodo’s speeches, thus it is the distinctive case which always implement their various languages. For this purpose, the statements of the problems were formulated as follows: (1.) What types of speech acts according to the classification of illocutionary acts are used in Joko Widodo’s speeches in Economic Forums? (2.) How are those illocutionary acts related to the main message of the Joko Widodo’s speeches in Economic Forums? The above data explains the background research is directly started from the purpose of the study which analyze speech acts committed by President Jokowi in the International Economic Forum. The theory used in the study is Searle’s theories in Levinson and Yule’s theory about speech acts and Macro Five Classes of speech acts. In response to these questions, the study used a descriptive qualitative method, which means the data were analyzed qualitatively since the data for speech acts are usually in the form of words or utterances. This study was done by classifying and analyzing those objects. This research showed that there were speech acts in Joko Widodo’s speeches. The findings showed that there were various types of speech acts in accordance with Austin and Searle’s theories in Levinson and Yule’s theory. The conclusion revealed that (1.) There are four kinds of Five Macro Classes of speech acts based on Austin and Searle’s theories in Levinson and Yule’s theory. (2.) It can be inferred that among the three kind of speech acts (i.e., locutionary, illocutionary and perlocutionary acts), and the two of certain structure (i.e., direct and indirect speech), illocutionary acts have more roles and are the main purposes of speech acts to convey someone’s intended meaning to others. Based on the finding and discussion as well as conclusion, it is recommended that Joko Widodo’s speeches should emphasize more on the aspects or clarity and understandability. Finally, the present study hopefully provides a source for further speeches research. The data above, it explains the theory used in the data analysis without answering research questions that have been mentioned in the preceding paragraph. Repetition is done in the paragraphs above. it reduce the level of coherence of ideas. In addition, it has less on clarity of writing. So, it can ne concluded that the coherence of the fith data is not good. It is stated by researchers of the first paragraph which includes the research objectives, research questions, methods, and results. However, in explaining the research results are forward-repeated statement which made it less effective and efficient. Explanations of the results of the study are also not related to the research question. This research is a study of pragmatic which has a background of the daily communication. It is very important to understand what people say, what they mean by doing a conversation. In many our conversation, we assume that the speaker and listeners generally have a cooperation each other. However, in some circumstance, a speaker intends to communicate more than is said, that something must be more than just the words mean. It is common, when the speaker asks questions, and then the others give irrelevant answers because of a different interpretation, view, even understanding about an object entity on a person. Implicature is known as an invisible meaning in the utterance of people say. This research is made to analyze the types of implicature used in the movie script “Barbie Diaries”. The purposes of doing this research are to explain the types of implicature and the context of situation of each utterance and statement containing conventional and conversational implicature used in “Barbie Diaries” movie script. The researcher uses Grice’s theory as the basis theory for this research. This research is a qualitative research in which the data is taken from the movie script of “Barbie Diaries”. The technique of collecting the data that is applied by the writer is documentation method. The researcher analyses the types of implicature which are conventional implicature and conversatinal implicature. Conversational implicature consists of maxim of quantity, maxim of quality, maxim of manner, and maxim of relation. Conversational implicature; maxim of manner and maxim of quantity are the most violated in the movie script conversation. Data above described abstract background began to study pragmatic implicature and contexts. it contained in the speech in Barbie Diaries. Then the students wrote about the purpose of research that explained the types of implications and contexts of the situation. The type of research is a qualitative study using Grice’s Theory in analyzing the data. The data collection was also mentioned in the abstract, namely the method of documentation. From the data above ideas are written from beginning to end which showed that there were some repetitions of ideas which made less in its coherence. In the final part it also has no definite statement. It can be concluded that the coherence of the data 6 is not good for a repetition of the idea and also the delivery of a less clear ideas in the results of research and the research method. The coherence sentences in thesis’ abstracts can be concluded that not all of the sentences written by students in their thesis can arranged clearly and logically. it occurred because they had less attention on the guidelines in making the abstract as well as the components. If the abstract component is not complete, it is difficult to create a unity of ideas and coherence. of course it is closely related to their sentence structures which can not be separated each others. In addition, the role of a supervisors of thesis has the important role to remind the students in order to have a good quality related to the components of abstracts, coherence sentences and grammar in writing their thesis abstracts. Ary, Donald. Lucy Cheser. Asghar Razavieh. 1990. Introduction to Research in Education. Oralando: Holt, Rinhart, and Winston, Inc.
Brown, H. Douglas. 1994. Principles of language learning and teaching (Third Edition). San Francisco: Prentice Hall Regents. Heaton, J.B. 1975. Writing English Language Testing. Singapore: Longman Group Limited. Irmscher, William. F. 1976. The Holt Guide to English: A Contemporary Handbook of Rhetoric, Language, and Literature. USA: Holt, Rinehart and Winston. Martin, Anne V et al. 1977. Guide to Language and Study Skills for College Students of English as a Second Language. New Jersey: Prentice-Hall, Inc.
Penquegnat, Willo. Ellen Stover. Cheryl Anne Boyce. How to Write a Successful Grant Application 2nd. New York: Springer Science+Business Media LLC. Reid, Joy M. 1982. The Process of Composition. New Jersey: prentice-Hall, Inc.
Scracella, Robin C, and Rebecca. L. Oxford. 1992. The tapestry of Language Learning: The Individual In The Communicative Classroom. Massachusetts: Heinle and Heinle Publisher. Swetnam, Derek. 2004. Writing Your Desertation. Oxford: Cromwell Press Ltd.
Tuckman, Bruce W. 1972. Conducting Education Research 2nd. New York: Harcourt Brace Jovanovich, Inc.
Zemach E Dorothy and Lisa Rumisek. 2005. Academic Writing from Paragraph to Essay. Oxford: Mc.Millan.